What is IBM SPSS Statistics for healthcare? IBM SPSS® Statistics is an analytics solution that can help healthcare providers improve quality, lower costs and drive better patient outcomes. IBM SPSS Statistics comes with a wide range of procedures, including linear regression, Monte Carlo simulation, geographical analysis and more. Watch the demo below to see how some of these features can help you find insights about your patient data. IBM SPSS Statistics lets you easily investigate the relationship between variables, such as patient treatment and dose responses in clinical trials. Watch the demo below for an example. 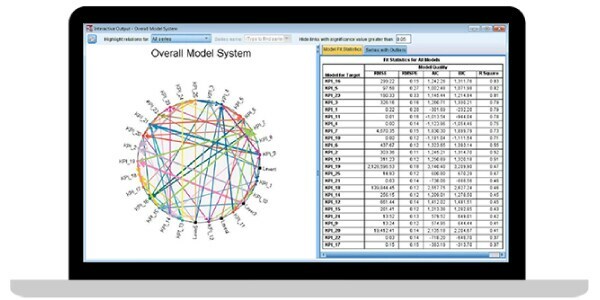 IBM SPSS Statistics provides univariate and multivariate modeling techniques to help you reach the most accurate conclusions when working with data describing complex relationships.